PORCELANOSA Grupo opens the 24th edition of its Global Architecture & Interior Design International Exhibition this coming February 13th. It is an event where the PORCELANOSA Grupo will once again showcase its latest designs in architecture, interior design, and its innovations, which without any doubt, will determine what trends will be taking centre stage will be in 2017. Quality, cutting-edge technology and design will be portrayed in the showrooms by the eight firms from the Grupo in the coming days. Exhibition spaces which, overall, take up an area of 14,000 square metres; and until February 17th they are expected to impress professional audiences from around the world. Among the latest designs regarding ceramic, the 24th Exhibition will present to us the Roma and Viena collections from Porcelanosa. 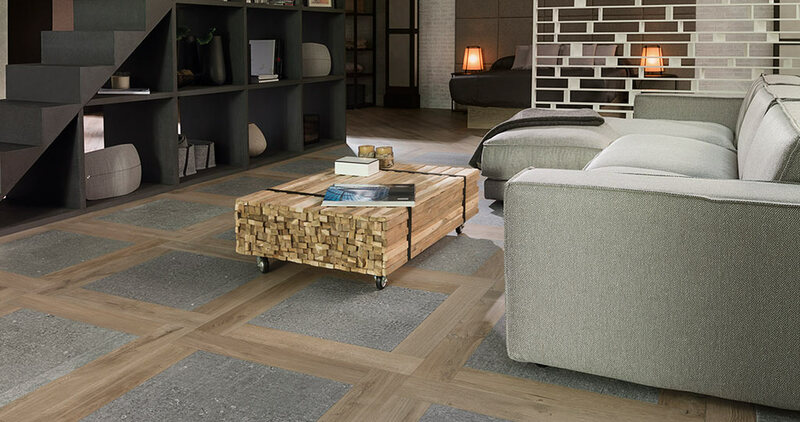 A ceramic fusion of stone, wood and a vintage-styled ceramic parquet, respectively, especially suitable for sophisticated spaces. 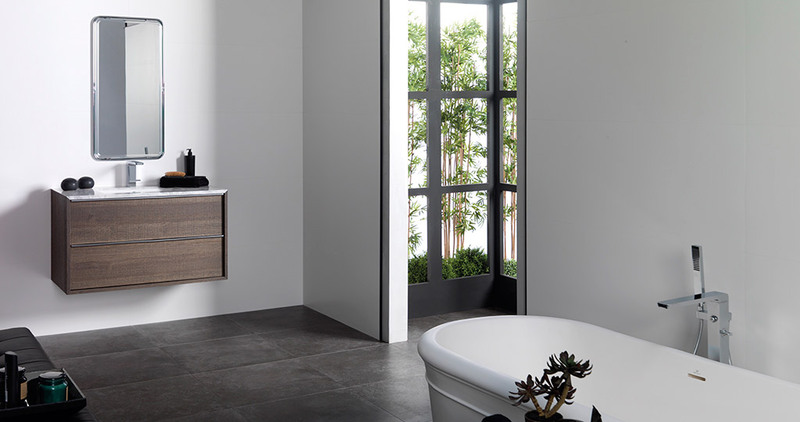 Venis, for its part, is inspired by nature when creating its new Mirage collection. A series of porcelain tiles and slate-appearance ceramic wall tiles which provide spaces with resistance, distinction and elegance. Continuing with the origin of the natural materials, L’Antic Colonial offers new stone and natural wood for 2017. The Amsterdam Grey limestone is extended by a large format, whereas with the parquet, the firm presents the Sabana collection. At this 24th edition of the Exhibition, L’Antic Colonial showcases its new mosaics from the Gravity collection, and also the Brick formats from the Block ceramic collection. 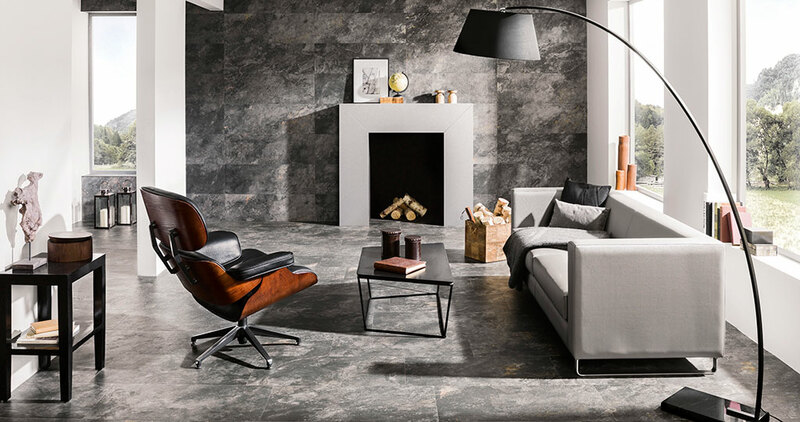 Urbatek once again banks on the Premium range regarding its XLight marble-inspired extra-slim porcelain tile. 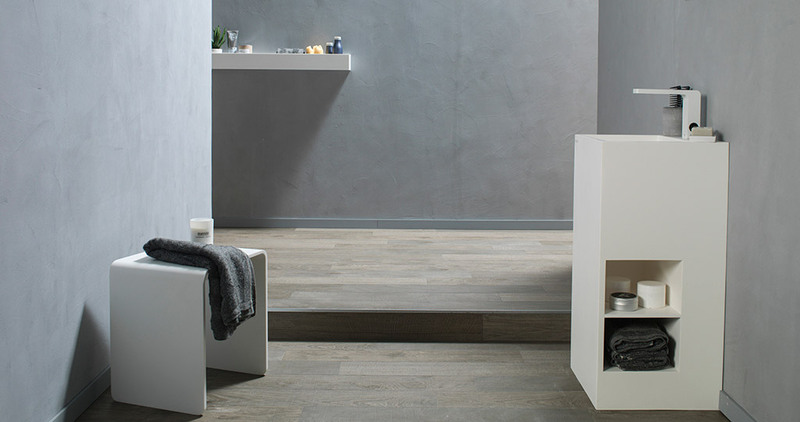 It is a porcelain tile that includes the Nylo and Porto designs, providing large formats with versatility. Regarding the bathroom designs, they are done by Gamadecor, Noken, L’Antic Colonial and Systempool. 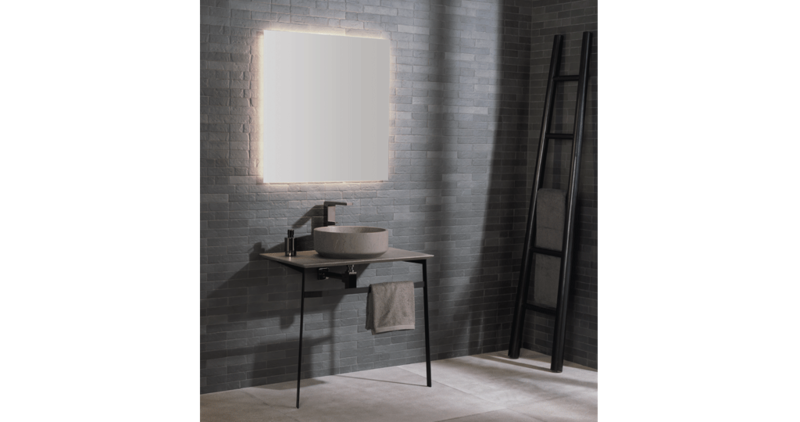 Noken highlights its Arquitecto series, by including new references in its catalogue; and presenting an innovative line of Noken Ceramic® high-range ceramic shower trays: Project and Customs. 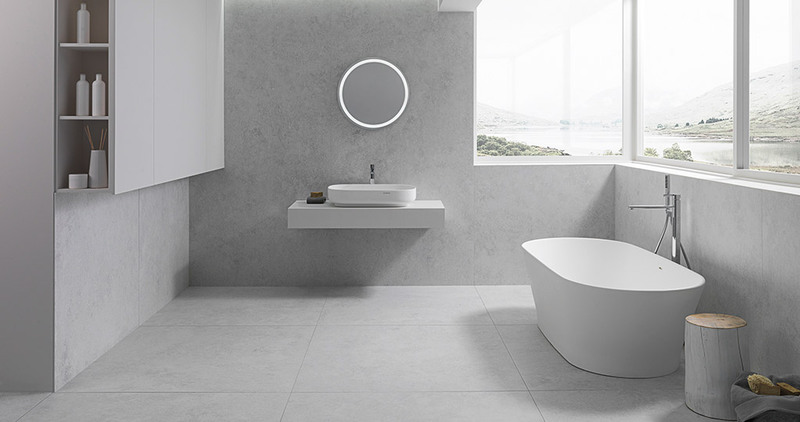 Gamadecor launches the latest Duna, Bevel, Yester, Century and Edge bathroom furniture; and L’Antic Colonial, for its part, adds the new Karon collection regarding natural stone basins and bathroom sets to its latest designs. 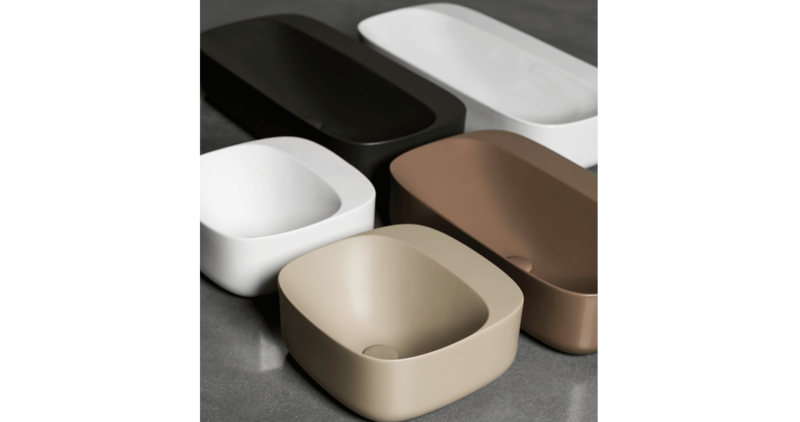 The designs by Systempool are focused on the new Way and Unique basins, as well as on the new series of bathtubs and shower trays, without leaving out the KRION® Solid Surface mineral compact, the new TERRAZZO collection, or the space dedicated to Tono by Foster+Partners. Finally, and with regard to the latest designs in building systems, Butech will showcase its Micro-Stuk Design continuous wall tiles, and also its Shower Deck hidden-drain shower tray, to be installed in ceramic parquet. The new models in decorative profiles complement the innovations together with baseboards included in Pro-Skirting PAR-KER. The architecture and design of the future is within reach at the 24th Global Architecture and Interior Design International Exhibition, put on by the PORCELANOSA Grupo.